When you find out your child may be tongue-tied, requiring a frenectomy procedure, it can be a very scary experience. You want a qualified and experienced dentist by your side to safely and effectively perform the procedure while making your entire family feel at ease. We will resolve the tissue growth issues impacting your child’s ability to move their tongue correctly using the most advanced technology available. If you’re in need of a frenectomy procedure in Grande Prairie, let Access Dental help you. When the frenums are larger than usual, such as underneath the tongue or connecting to the upper teeth, it can cause complications when left untreated. When a child is young, the extra tissue can cause difficulty when feeding and learning how to speak. Overtime, it can begin to cause dental health issues, such as periodontal disease, and may make oral hygiene more difficult. Depending on the severity of the tissue abnormality, it may even lead to confidence issues. In some cases, the tissue causing the difficulties can resolve on their own, however, surgical intervention may be needed using the frenectomy procedure. If it’s determine the procedure is the best option, local anesthesia will be used to increase comfort during the procedure. For younger patients or those with anxieties, general anesthesia may be used to make the procedure easier on everyone. During the procedure, a scalpel or laser is used to correct the growth of the tissue. While both are safe and effective treatments, lasers are now more commonly used because they pose fewer complications than a scalpel. The laser allows the dentist to make more precise cuts, decreasing potential damage to surrounding tissues. Since the laser cauterizes as it cuts, there’s less bleeding. In addition, there’s often no need for stitches and there is a decreased risk for infection. Recovery from the procedure is simple and fairly short. After the procedure, the area will need to be kept clean. A saltwater rinse may be recommended. While pain and discomfort are usually minimal, over-the-counter pain medications or anti-inflammatories can be taken to relieve the discomfort. Recovery usually takes no longer than 2 weeks, at which point a follow up appointment may be needed to ensure the area has healed correctly. After healing from the procedure, post-operative exercises may be recommended to help develop proper muscle movements now that the tongue movements aren’t limited by the tissue. The exercises will also increase kinesthetic awareness while encouraging proper tongue movements. The exact exercises needed are based on individual needs. As a leading dentist, Access Dental provides the frenectomy procedure in Grande Prairie you need to correct issues with the frenum. We understand that undergoing a procedure can be a scary experience, which is why we offer the comfortable and personalized care you need for peace of mind. 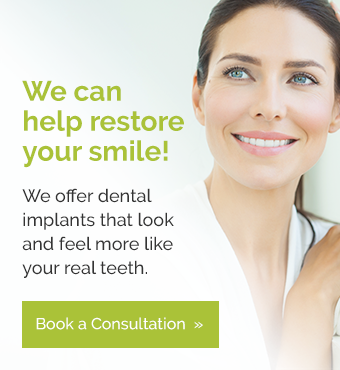 Our caring staff will make comfort a top priority while our highly trained dentists performs the procedure. If you or your child are tongue tied or have issues with your frenum, contact our office today.